Great article in the latest issue of Time Magazine on Nelson Mandela. I was reading it last night, planning to post about it today. But noticed that Carlos had posted about this very article. So instead of me giving my perspective, head over to Ragamuffin Soul and read the 8 lessons on leadership straight from Carlos' blog. Good stuff. 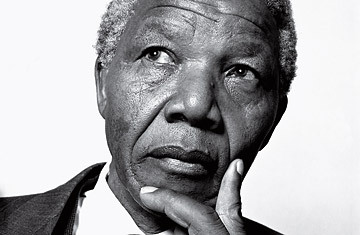 Mandela has retired for the most part from the public square but still is involved in a few initiatives. His legacy is undeniable. Most would count him among the greatest leaders of the last 100 years. I sure do.